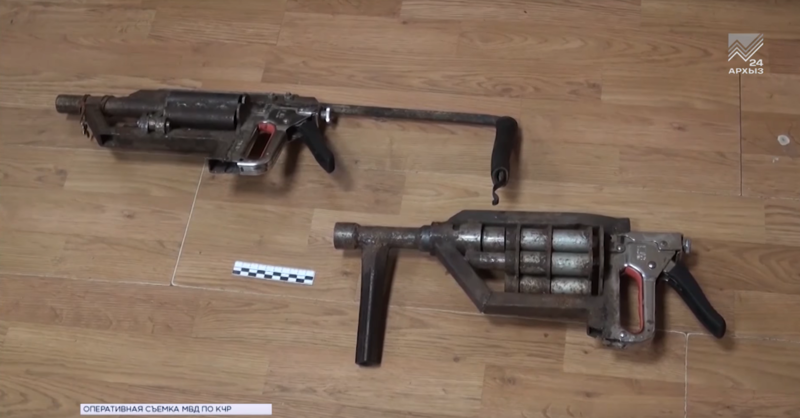 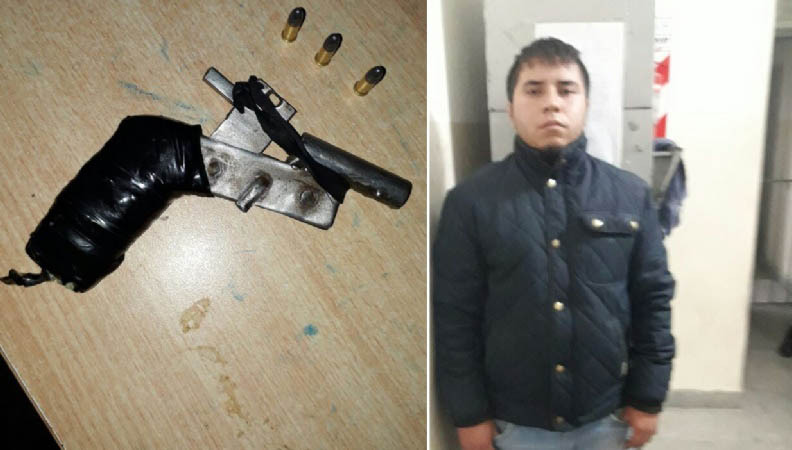 Below are two very similar homemade submachine guns both seized in the neighborhood of Carapina, Espirito Santo earlier this year. 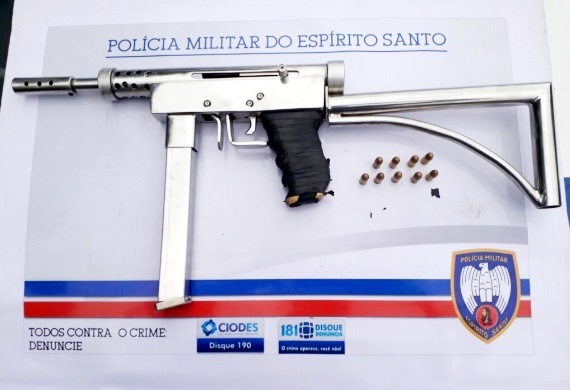 Typical of illicit Brazilian made SMGs, the upper and lower receivers both show clear URU influence. 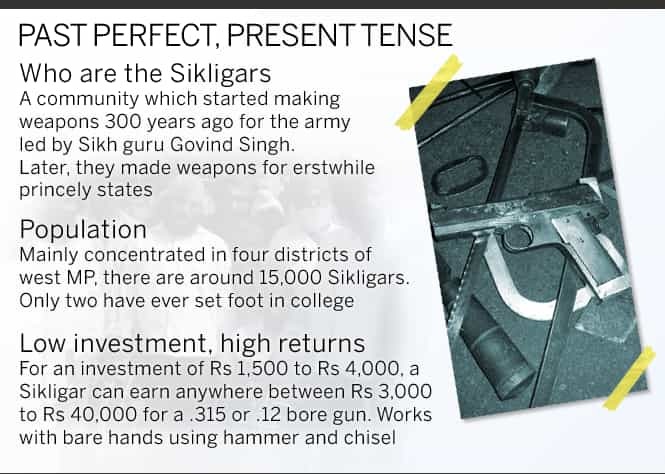 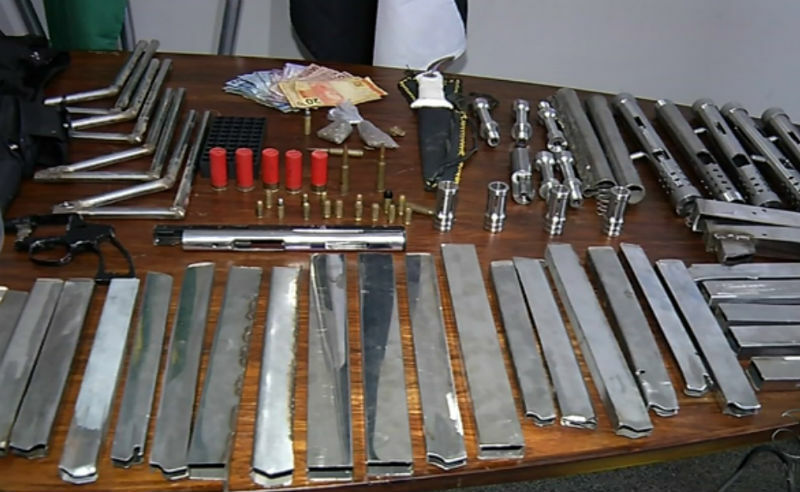 Above: The ‘Adidas model’ seized in April reportedly along with .40 ammunition. 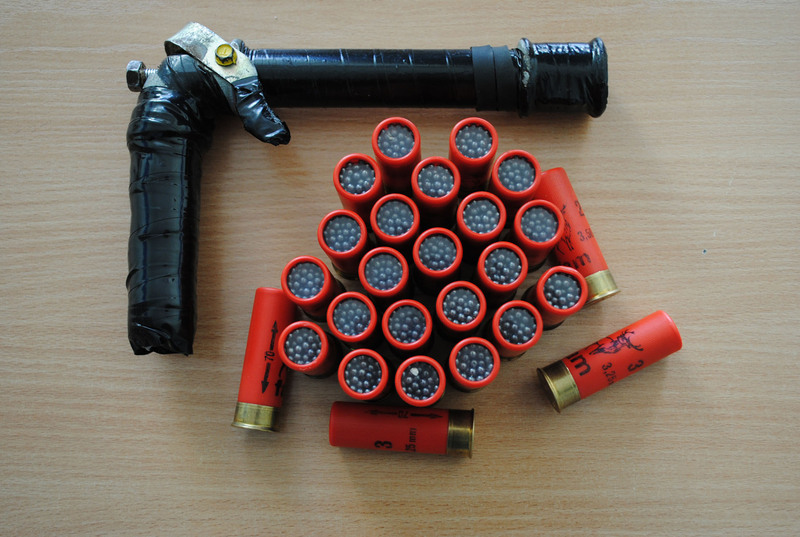 ‘Stainless’ model seized in January. 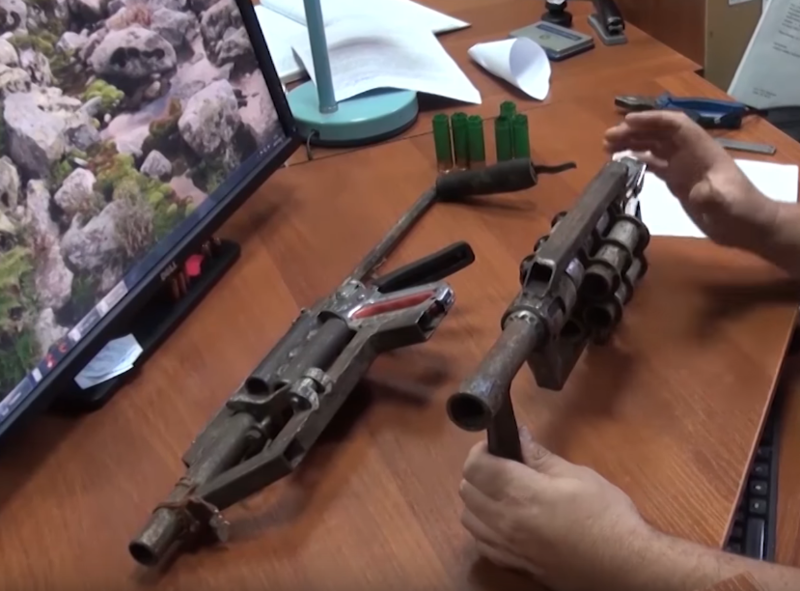 Pictures from a 2016 raid conducted on an illegal workshop in the same neighborhood appear to show identical weapons in various stages of production. 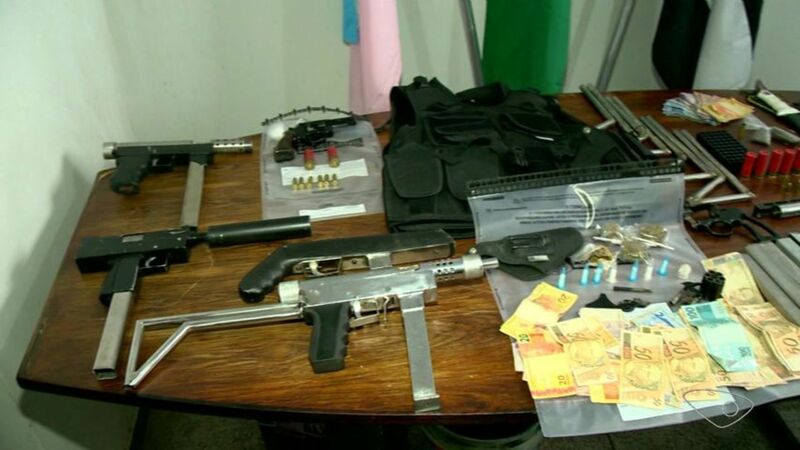 The weapons were found at the home of 29-year-old Joubert Santana de Oliveira, who, according to police “manufactured submachine guns and sold them to gangs in Jardim Carapina and other municipalities.” The weapons seized this year almost certainly originated from the same workshop, demonstrating the sometimes very localized nature of even fairly sophisticated operations. 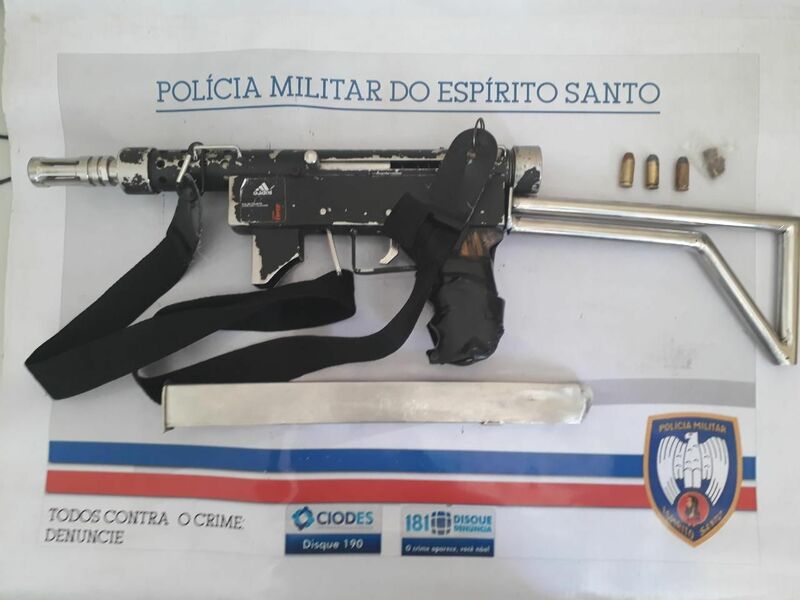 This entry was posted in Submachine guns and tagged Brazil, crime, DIY, homemade guns, homemade SMG, homemade submachine guns, illegal firearms, illegal gun factory on October 28, 2018 by ImproGuns. 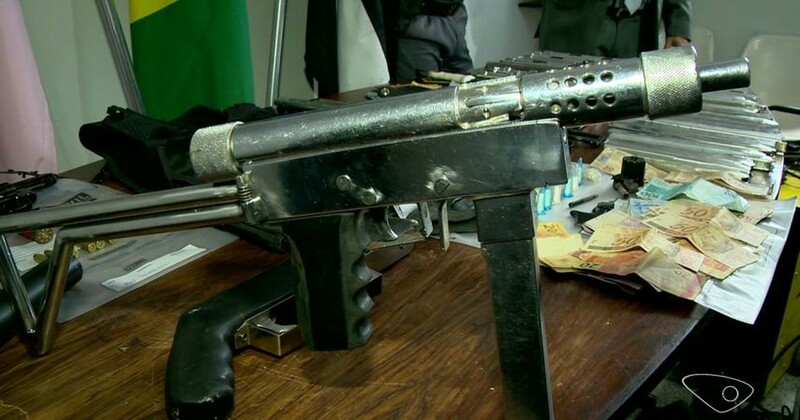 They took my lunch money. 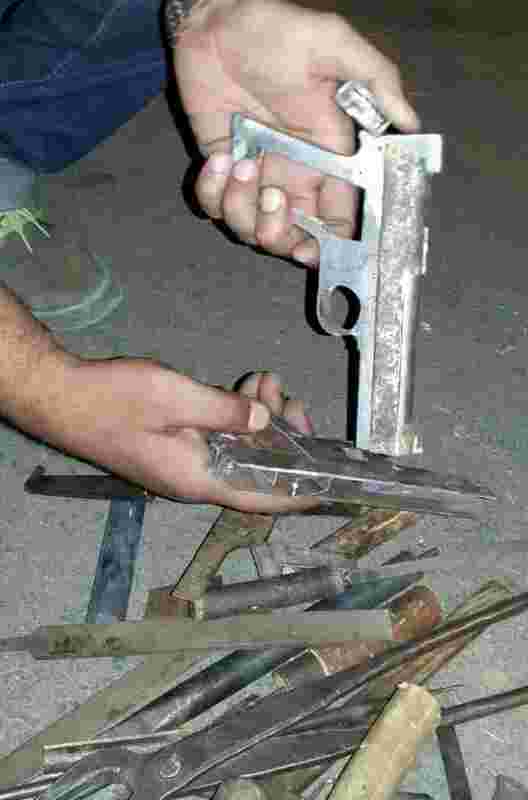 I took their toes. 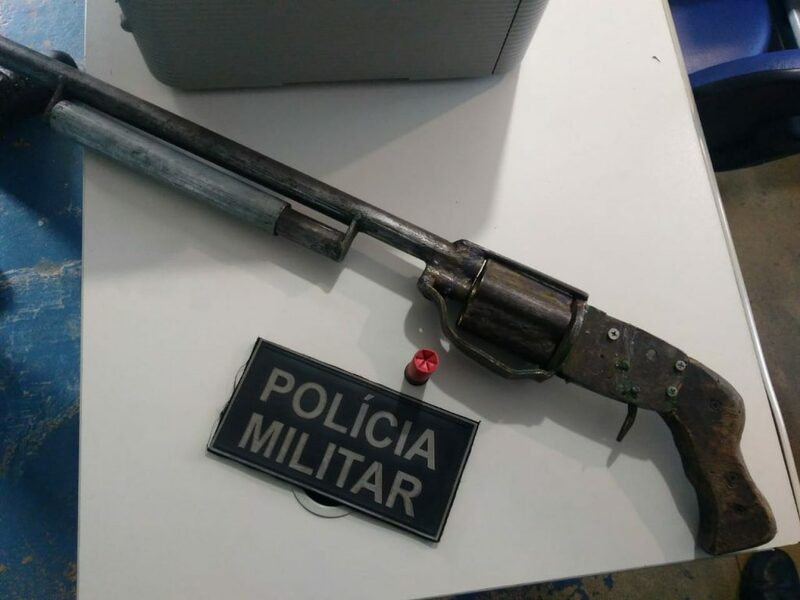 A makeshift 12 gauge revolving shotgun seized by police in Rio de Janeiro after an attempted robbery of a Japanese restaurant in Rio Bonito. 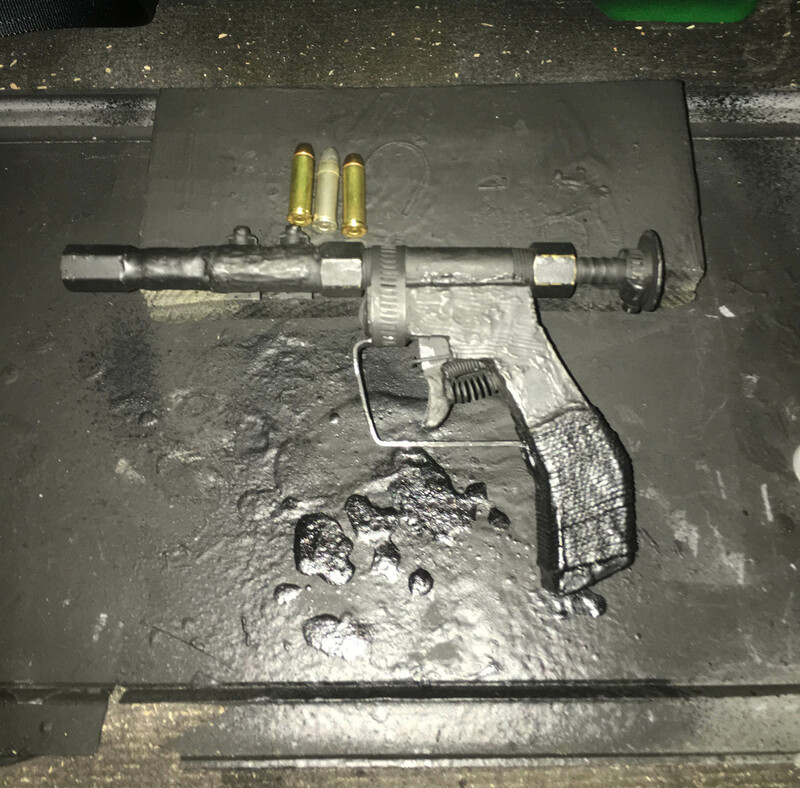 This entry was posted in Shotguns, Zip guns and improvised firearms and tagged Brazil, DIY, firearms, homebuilt guns, homemade firearms, homemade gun, homemade guns, homemade shotgun, homemade shotguns, improvised firearms, Not 3D printed, revolving shotgun on October 16, 2018 by ImproGuns.